In a market where personal contact is vital for successful business relations, trade shows can offer exporters an effective platform to contact customers and maintain relations with them. If the organiser of a show in China has promoted the exhibition to the correct audience and put in place checks to screen out the general public, you can be sure to meet potential customers who are familiar with your industry and want to know more about your product. Before 1989, China's exhibition industry was strictly controlled by the central government. There was usually only one major show for each industry and these were mostly held in Beijing. All exhibitions were organised by the CCPIT (China Council for the Promotion of International Trade), together with an industry association for that trade and/or the relevant ministry. In some cases international companies were appointed as agents to sell these shows abroad, but they would have no influence on the organisation or direction of the show. Selling shows to international exporters was very straightforward. The Chinese organiser would provide its international agent with a shopping list of technology or products required and budgets available to purchase these items. The agent would find companies with the relevant technology and a sale was effected before the exhibition took place. The purpose of coming to the exhibition was simply to transport the purchased piece of equipment. For visitor promotion, the Chinese organiser decided how many visitors the show could withstand – 20,000, 30,000 or 40,000 depending on the size of show and duration of the exhibition. Letters of `invitation' were sent out to a set number of industry executives instructing them to attend. The motivation behind these shows was to educate industry participants and not to use them as a selling platform to the China market. In these early days, it was easy to choose the right show for your particular industry but companies seldom actually met the ultimate customer or had the opportunity to develop a long-term working relationship. The second opening of the China market 10 years ago brought with it a new demand for specialist trade shows. This demand was met first by industry associations and government organisations increasing the number of shows in cities throughout China. More foreign companies were encouraged to exhibit and generally were unconcerned at being charged five times or more than the rate expected of their Chinese competitors. As competition increased between Chinese organisers for the higher-paying foreign exhibitor, more and more international agents were appointed to represent shows. This trend towards greater openness has continued to the extent that shows are now organised under a variety of relationships, from sole Chinese organiser employing international agents to joint organisers with foreign partners and even foreign companies as sole organiser. 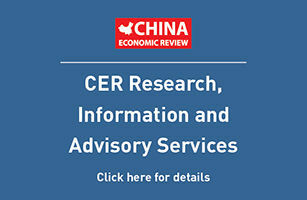 With increasingly open access to all regions of the China market, many government agencies and trade associations, formerly the most important authorities for recommending and even placing orders for imported products, were forced to decentralise decision-making authority to the ultimate customer. Today, in all but a few industries, if a Chinese company can afford to import technology and materials it can apply for an import licence directly from a range of agencies and need no longer buy through the centrally controlled agency in Beijing. As a consequence, many government agencies and trade associations have lost their `middle man' role. They no longer influence or control the buying process and have lost a major source of income. To supplement this loss of income, industry associations and even different departments within the same government agencies have launched a flood of new exhibitions on their own, or invited foreign organisers to hold events jointly with them. Where shows are jointly organised, the Chinese organiser sells to Chinese companies at a `local price' and the foreign organiser sells to international companies at an `international price,' which can be five times or more higher. Promotion to visitors to attend the exhibition is coordinated by the Chinese party and paid for out of the income generated from foreign participation. A direct correlation can be drawn between international sales for an exhibition and the budget that is devoted to advertising, promotion and generally delivering visitors to an exhibition. In addition to reducing middleman commissions, the decentralisation of buying authority had another big impact on Chinese industry associations and government departments – their loss of influence and ability to instruct industry representatives to attend exhibitions they were promoting. A letter of invitation from a Chinese industry association to its members to attend a particular exhibition no longer carries the authority it did even three years ago. The progressive Chinese organization simply does not have the time or the need to educate staff on international developments by sending them to an exhibition. Decision-makers must be convinced that there is a real benefit in attending a trade show before they will allow staff to give up valuable time in the office or factory. As in Europe, the US and Southeast Asia, the best trade shows are those supported with a comprehensive and creative promotional campaign. These campaigns need to be sufficiently persuasive and to include the right information to attract the buyers and visitors. The right trade show can open the market and provide a regular platform to maintain and develop customers, saving participants time and money. Unfortunately, choosing the right show has become increasingly difficult. Every industry in China is oversupplied with exhibitions. In some sectors, for example the packaging industry, there are more than 25 exhibitions a year, often with similar titles and logos. Frequently, competing events are even held at the same time of year and in neighbouring exhibition halls in the same city. Adding to the confusion caused by the sheer number of shows, competing events can be sponsored or `coorganised' by different departments within the same national associations or ministries. As a direct result of this oversupply, there are many badly organised shows. Be realistic when it comes to exhibiting. Don't decide to participate in a show just because the show title seems to fit your industry – though it's amazing how often people do. Also, beware those events in China that use the same title as events in the US or Europe. The unsuspecting international company arrives in China to discover that the international event they thought they were attending has few if any other foreign companies and no control on visitors. -Obtain a directory of the most recent exhibition from the organiser or from the commercial department of your country's consulate or embassy in the city where the show is scheduled to take place. -Speak to other international companies or international trade associations that have participated in previous shows. -Check how many foreign companies participate in the show directly from overseas and not just through agents, and what percentage of the total show is made up of Chinese companies. Remember, the more foreign companies that participate in the show, the more income the organiser has at its disposal to carry out effective promotional campaigns. If there are few or no direct foreign participants at a show you are considering, look for another show. However, the most important check of all should be on the show organiser. Is it a professional show organiser or simply a government department or association? Is it capable of organising a show? It is a common mistake to assume that a Chinese association that is organising, coorganising or sponsoring an exhibition must know its own industry and therefore the customers for your products. Unfortunately, too often they don't. There are so many conflicting and overlapping industry associations in China that often they represent only a small section of the national industry or their influence is restricted, for example only to Beijing. Also, in most cases these associations will represent the Chinese companies whose products compete with yours. At this point consider why such as association would want to attract foreign companies to China. This is a major conflict of interest in running a professional show. The involvement of a foreign organiser may give a certain `comfort value,' but check carefully its track record in China. Has it run any successful shows there? What exactly is its role in the show? Often, foreign organisers depend exclusively on their local partner to do all the marketing in China and have absolutely no control over what actually hap-pens there – for example, who is invited, how much is spent on advertising, visitor control and shipping. Frequently, the foreign company's role is nothing more than that of an international agent with no influence on the organisation of the show. There is no doubt that exhibitions will continue to play a vital role in marketing to China – but remember not all shows are successful. Choose with care. This article was prepared by Brendan O'Connell Jennings, Shanghai chief representative of Hong Kong Exhibition Services Ltd, a member of The Montgomery Network. He has worked for The Montgomery Network for 20 years, running trade shows in the Middle East and Asia, before moving to Shanghai in 1997. For further information on the programme of shows organised by HKES, visit http://www.chinamontnet.com.